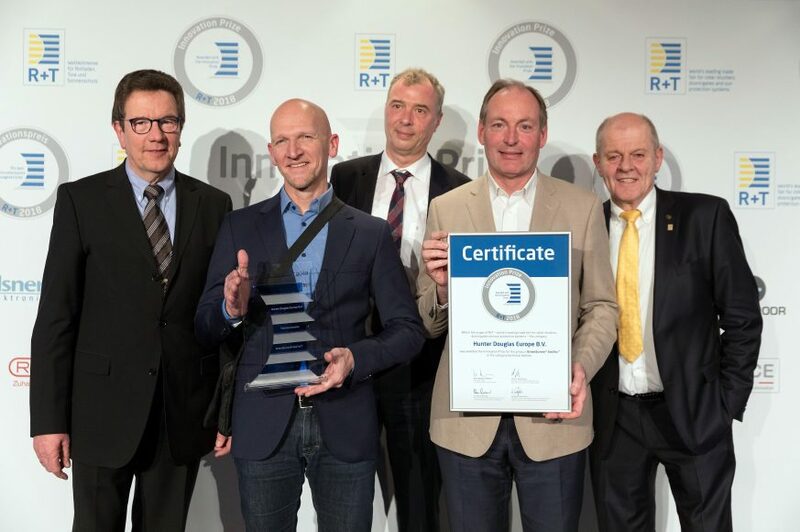 As part of the world’s leading trade fair for roller shutters, gates and sun protection, the R+T presents the coveted “Innovation Award” for outstanding and innovative technical development, selected by an international jury of experts. Hunter Douglas won three R+T Innovation Awards 2018, two awards for GreenScreen Sea-Tex™ and one for Luxaflex® Pirouette® Shades. 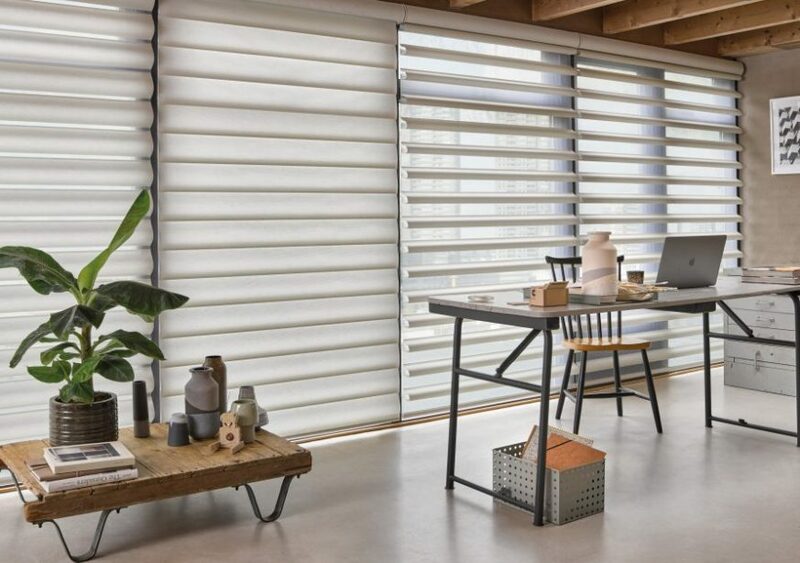 “Hunter Douglas is proud to have won three R+T awards and we thank the judges that voted for our new product innovations” said Ruud Bekendam – Marketing Manager Hunter Douglas Europe. “Hunter Douglas is committed to supporting its business partners with developing new product solutions that enhance profitability whilst contributing to a more sustainable world”. Winner of two innovation awards for “Technical Textiles” and “Special Energy Efficiency”, GreenScreen Sea-Tex™ is the world’s first sunscreen fabric made from 50% recycled ocean plastic waste. The plastic in the Pacific Ocean has created a ‘plastic soup’ of up to 15 million square kilometres which would take hundreds of years to break down. Helping clean up this waste is one of the world’s most pressing environmental concerns. GreenScreen Sea-Tex™ yarns are made from ocean plastic collected by the Waterkeeper Alliance, an international group who manage beach clean-up events. Almost 100% of the plastic shoreline trash collected is used to make GreenScreen Sea-Tex™ yarns. 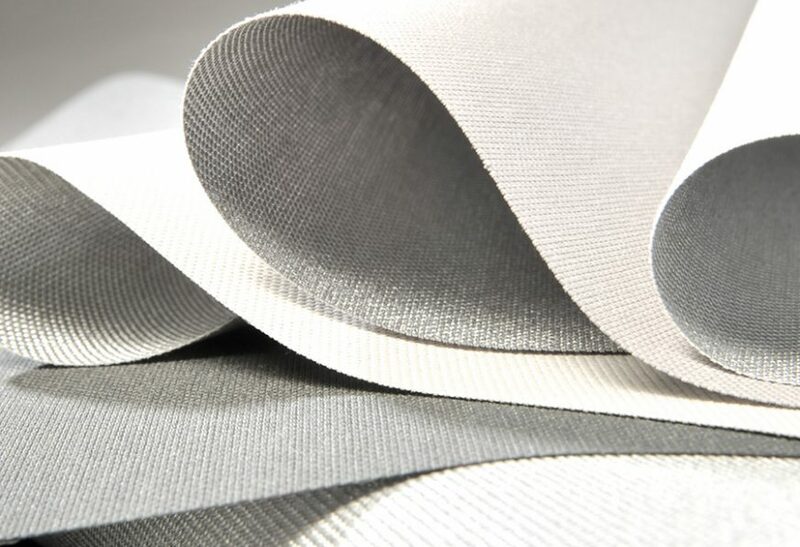 This unique and sustainable fabric is flame retardant, energy-efficient, PVC and halogen free and was awarded the Oeko-Tex Standard 100 label and GREENGUARD certification. With GreenScreen Sea-Tex™, Hunter Douglas once again demonstrates its commitment to innovative and sustainable product development for sun protection products. Winner of the “Special Design Award”, Luxaflex® Pirouette® Shades represent a completely new dimension of interior sun protection. The luxurious fabric design also softly filters glare and UV rays – protecting furniture and floor from fading. The unique design transforms harsh exterior light by diffusing it, spreading it evenly throughout a room to maximise daylight hours and reduce the need for artificial light.